Maleficent, the untold story of Disney’s most iconic villain from the classic “Sleeping Beauty,” reveals the events that hardened Maleficent’s heart and drove her to curse the baby, Aurora, only to later realize that the child may hold the key to peace in the land. One of my favorite movies growing up was Sleeping Beauty. Beautiful young maiden in a love story with witches, an epic battle between good and evil. Not to mention she had blond hair and brown eyes just as I did. What wasn’t there to love? So imagine my excitement at hearing they were doing a story about Maleficent, the evil witch of the story. I may or may not have a slight obsession with all things paranormal, witches included so giddy would be an understatement. 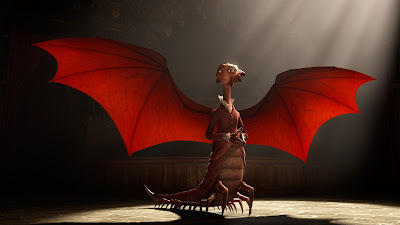 And then seeing who they cast to play the role, Angelina Jolie Oh. My. Gah! It’s as if she was made for this role. I mean seriously, she is beyond the perfect match. And FINALLY we get to learn just how Maleficent went from good to evil. 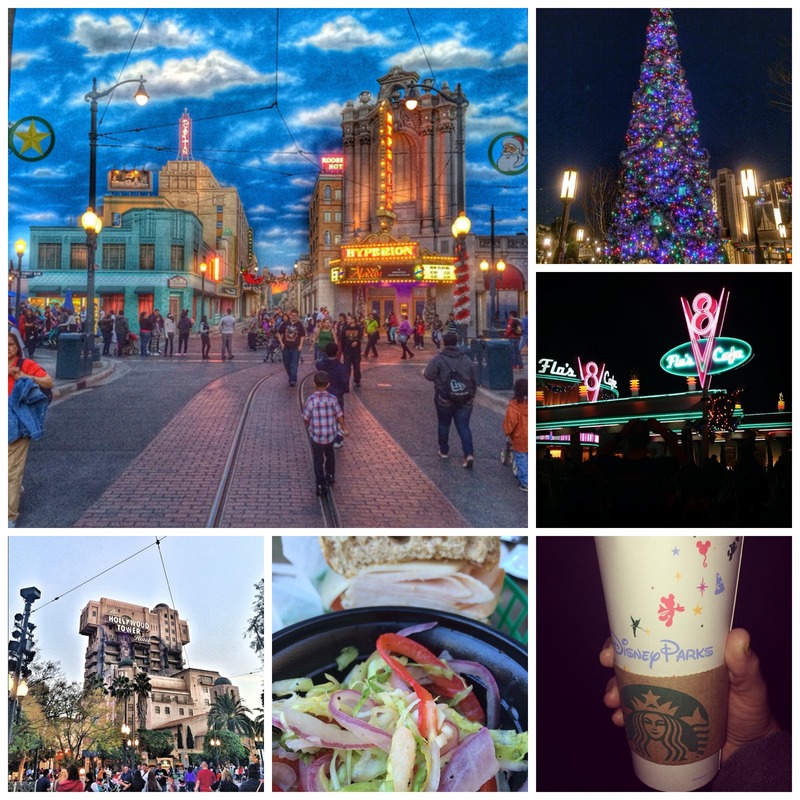 And if you’re as obsessed a bit much like I am be sure to follow Disneys Maleficent on ALL the social media accounts! Facebook, Twitter, Instagram, Pinterest, and Tumblr. I was given the opportunity to invite my local Oklahoma City (and surrounding area) readers to an advanced screening of Disney’s newest film, FROZEN! 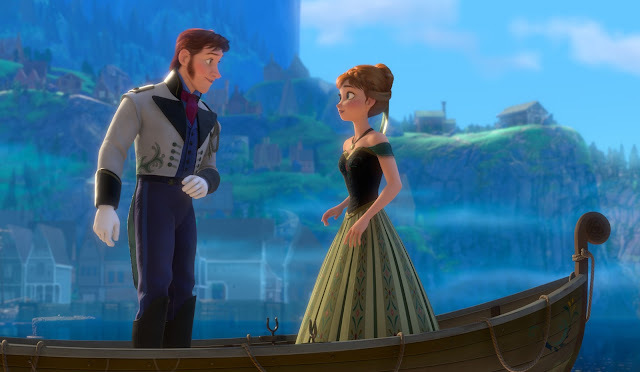 Come and enjoy fearless optimist Anna (voice of Kristen Bell) sets off on an epic journey—teaming up with rugged mountain man Kristoff (voice of Jonathan Groff) and his loyal reindeer Sven—to find her sister Elsa (voice of Idina Menzel), whose icy powers have trapped the kingdom of Arendelle in eternal winter. 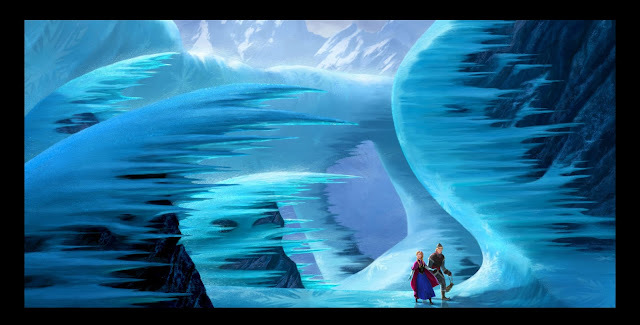 Encountering Everest-like conditions, mystical trolls and a hilarious snowman named Olaf (voice of Josh Gad), Anna and Kristoff battle the elements in a race to save the kingdom. The screening will take place on Tuesday, November 12th at 7:30PM at the AMC Quail Springs Mall which is located at 2501 W Memorial Rd, Oklahoma City, OK 73134. To sign up for the advanced screening please visit the following link http://www.seeitfirst.net/pin/926651 But hurry, these screenings tend to go quickly! 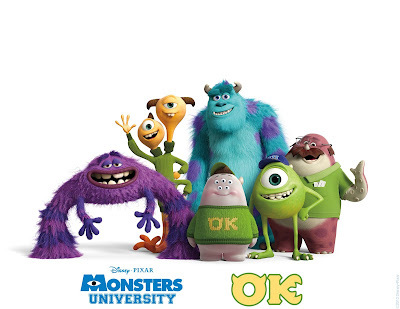 If the link does not bring you directly to the OKC screening page enter the code: 926651 and it will bring you there. I also wanted to add in that these are not reserved seats, seating is based on a first come first served basis so make sure you arrive early! For more information on Disney’s Frozen you can check out their website www.Disney.com/Frozen, on Facebook and of course on Twitter as well. This may age me a bit but I remember when I was younger I had my very own record player. It was small and a cream and brown colored plastic record player and it was all mine. And the only two records I used to play were my Disney Collection discs. One was in a white case and the other a blue. I still remember what they look like but the actual names are lost on me. But I remember playing those discs throughout the day. They were the only possessions I had that meant anything to me. I have always loved music and Disney movies so being able to listen to some of my favorite songs any time I wanted as a little girl left an impression on me. From The Studio’s earliest days, music has always been an integral part of the Disney creative process. But when ‘Who’s Afraid of the Big Bad Wolf’ debuted in 1933, it began a musical legacy that remains unmatched to this day. 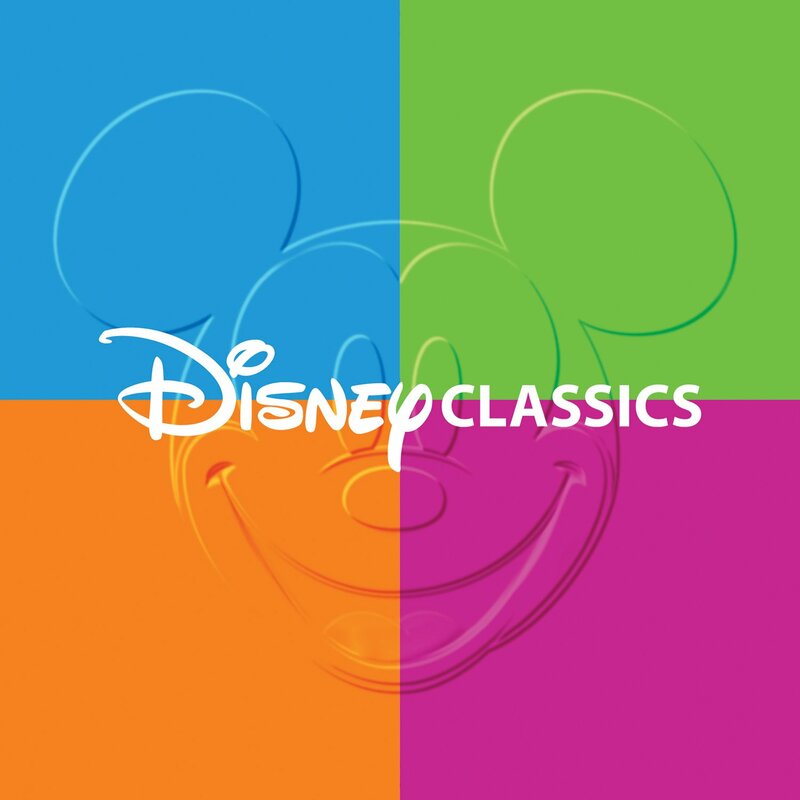 Disney Classics Box Set is a music collection that represents this legacy. Collected here are some of the most iconic melodies from Disney’s golden era. From ‘When You Wish Upon a Star’ to ‘A Spoonful of Sugar’ and ‘Zip-A-Dee-Doo-Dah’ to ‘The Whistle Stop,’ these Timeless Classics are part of a musical heritage inextricably woven into our human culture heirlooms passed down through the generations. This compilation begins with 1989’s The Little Mermaid, which not only ignited the renaissance of Disney Animation and storytelling, but a rebirth of Disney Music as well. Favorites from ‘Under the Sea,’ ‘Beauty and the Beast’ and ‘A Whole New World,’ these Modern Classics continue to shape the company’s musical history and heritage. 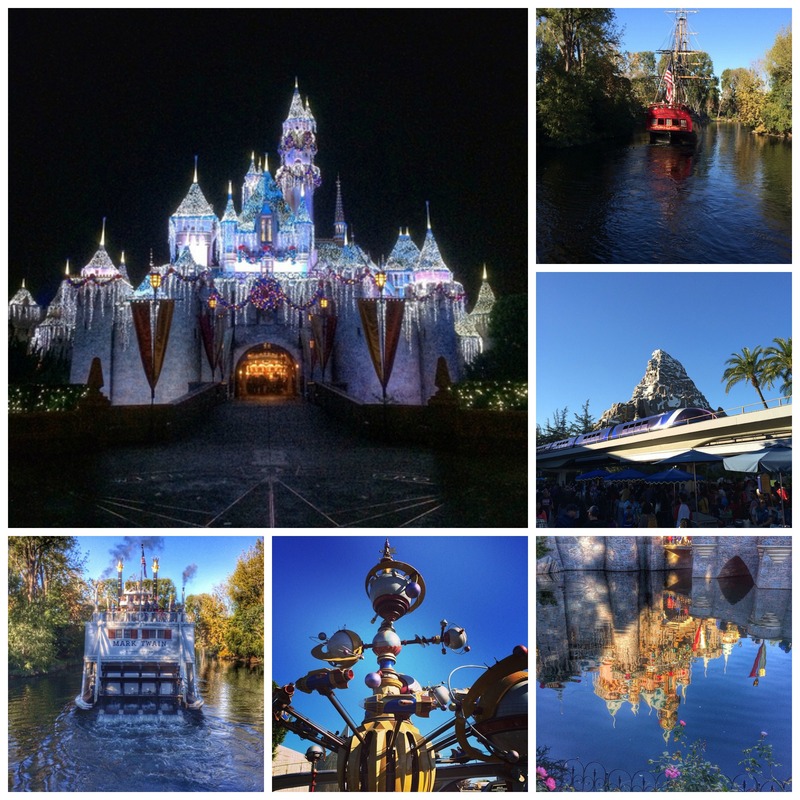 Music plays a vital role in the Parks as well; whether it be cleverly establishing an attraction’s story or the sheer brilliance of underscoring the banks and turns of a thrilling roller coaster. Collected here are not only those Theme Park Classics we know and love today, but others we fondly remember from days gone by. You can take a sneak peak at some of the music performed by Alex G & Peter Hollens in the video below. I would love to get this for my daughter since she shares my love for all things Disney and all things musical. It would make a great present for the holidays don’t you think? 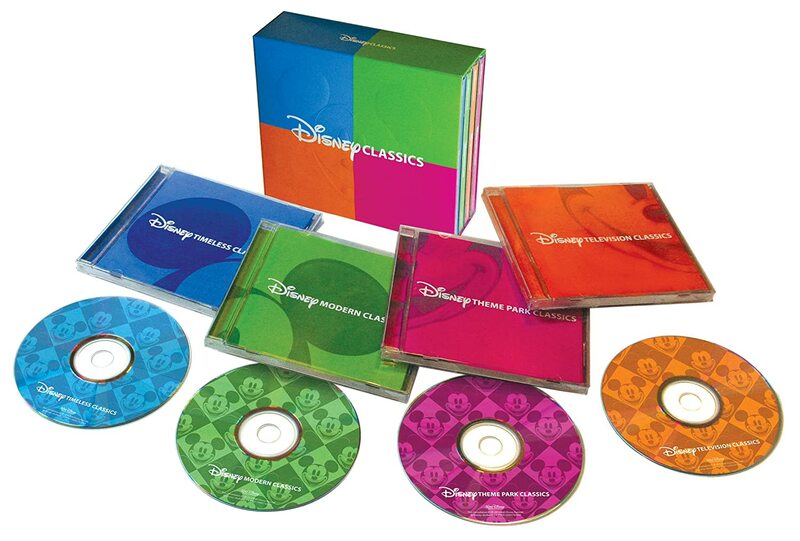 To pre-order your very own Disney Classics Box set click here! Walt Disney Pictures announced yesterday that principal photography has officially begun on the CINDERELLA. 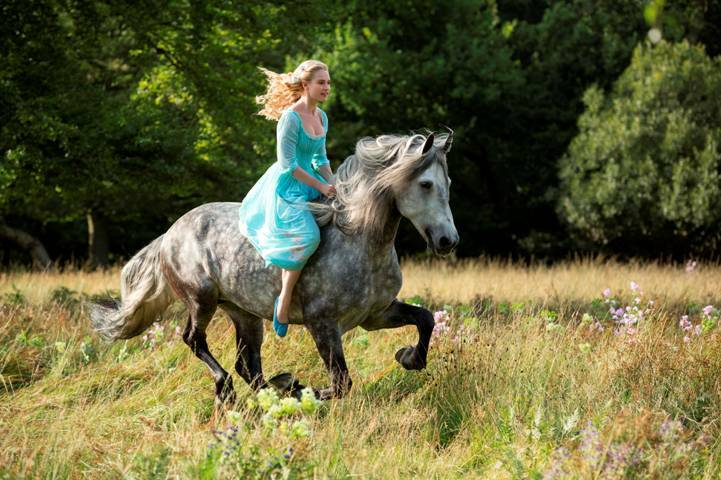 This will be Disney’s first ever live action movie inspired by the classic fairy tale Cinderella. Starring in this movie is Lily James (Cinderella), Richard Madden (Prince), Academy Award®-winner Cate Blanchett (stepmother Lady Tremaine) and Oscar®-nominee Helena Bonham Carter (the Fairy Godmother). The movie is being directed by Academy Award®-nominee Kenneth Branagh and produced by Simon Kinberg, Allison Shearmur, David Barron. Screenplay by Chris Weitz. With such a star studded cast, beautiful scenery from filming in London, this movie is sure to be a beautiful rendition of the classic story. Cinderella will be released on March 13, 2015. I give to you Captain America: The Winter Soldier new teaser poster. I know I know I am so mean only showing you a poster but when I got this in my email I totally squeed because dude this mean Captain America will be back! Yes I am a total fan girl of Captain America, hello Chris Evans YUM! Okay enough gushing. 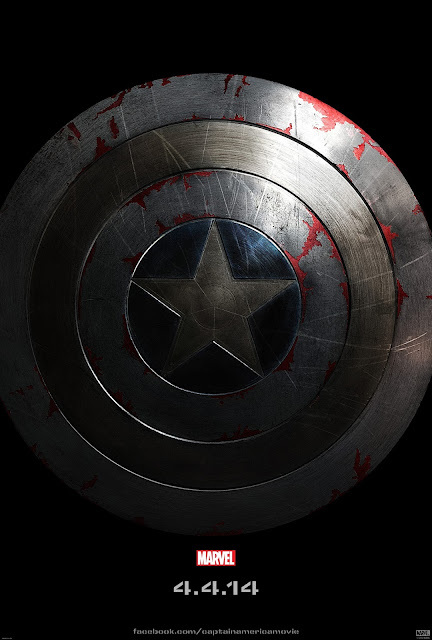 The new poster above shows the famous Captain America shield with scratches on it, paint chipped off, is that blood on there? Either way the infamous shield is noticeably beaten up. 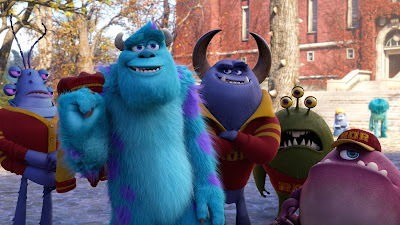 Can this mean that there may be a darker tone to the sequel? That may be the case as from what I can tell about the movie is that Steve Rogers struggles to embrace his role in the new modern world of today. Together with Natasha Romanoff, the Black Widow (Scarlett Johansson), they battle a powerful and dark enemy. The Winter Soldier, an assassin who just so happens to be his best friend Bucky Barnes (Sebastian Stan) who has been brain washed. 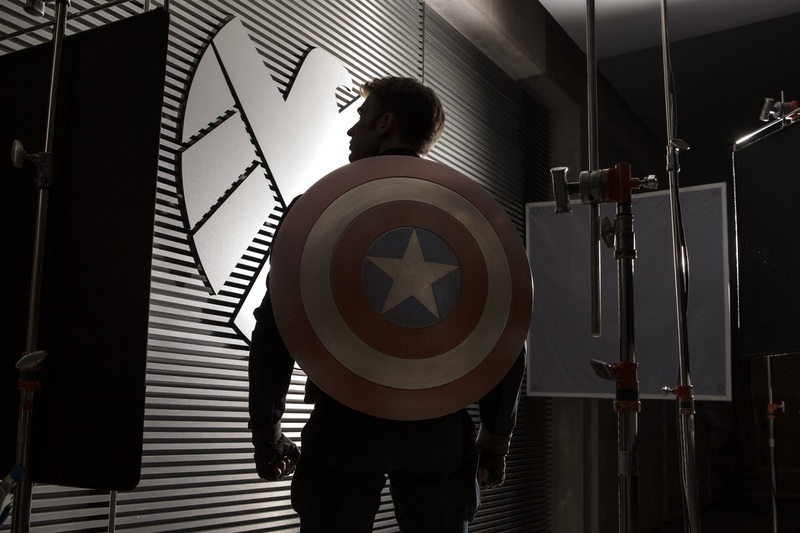 So much we still don’t know, but one fact we do….April 4th 2014 Captain America will open in theaters and you can bet your bottom dollar I.WILL.BE.THERE! That moment when a guy finds out that he is going to become a father is a special moment, one they will probably never forget, but not everyone has the same experience. 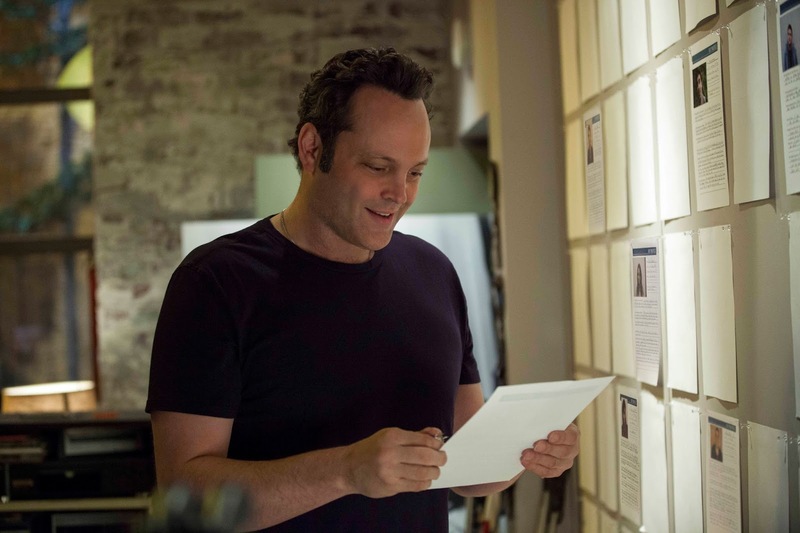 Like when David Wozniak (played by Vince Vaughn) finds out that he’s not the father of 1, 2, or 3 children but 533 children! Yes you read that right, five hundred and thirty three kids! Thanks to a mishap at a fertility clinic 20 years ago David Wozniak unknowingly became the proud Dad to all of these kids. And now 142 of those children are suing to reveal the identity of their birth father. What is a guy to do with this news? Have a panic attack, go m.i.a., come forward? No, what he does is truly amazing, heart warming and inspiring. 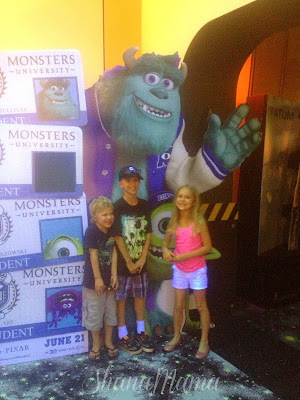 He secretly becomes kind of like a guardian angel to these kids. There to provide support and encouragement should they need it. If I am making zero sense watch this brand new trailer that was just released…right now! I told you, heart warming right. But I seriously love the comedic value they brought in along with the serious side of the story. Example….Chris Pratt is hilarious! The clip where he is just sitting there as his kid is just smacking his face talking non stop…..go on admit it, you’ve totally had one of those moments, I know I have….a lot more then once in fact LOL And I don’t know why but it is always more comical watching moments like those happen to Daddy characters for me. 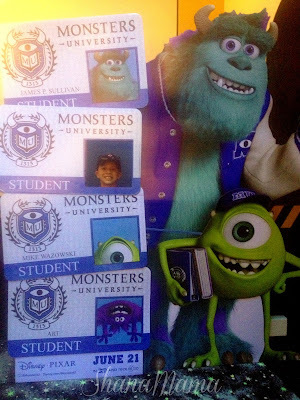 I for one can’t wait for this to come to the theaters. 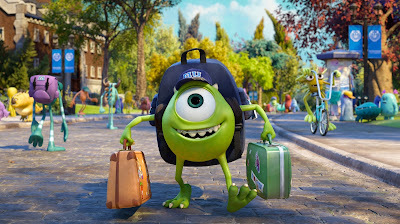 November 22nd can’t get here fast enough! 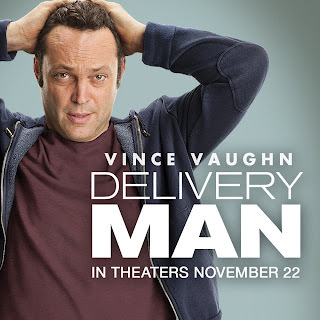 Don’t forget to check out the Delivery Man on all the social media channels to keep up on all the latest happenings with the film! Facebook, Twitter, Pinterest and of course Instagram. Disney is on a roll lately with all the amazing movies they have been releasing, and they aren’t slowing down! 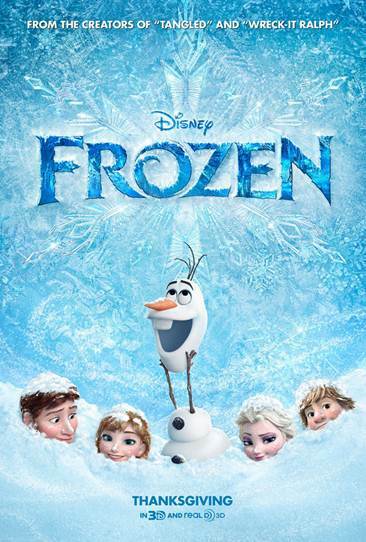 I just received word that they are coming out with another movie set to release on November 27th called FROZEN. First things first, watch this trailer. Okay now lets discuss. Is that not an awesome trailer or what? Seriously I was busting up and feeling guilty that I was watching it without the kids I called them into my office and we all watched it together. We may have watched it three or four times already. Fearless optimist Anna (voice of Kristen Bell) teams up with a rugged mountain man Kristoff (voice of Jonathan Groff) and his loyal reindeer Sven in an epic journey where they encounter Everest-like conditions, mystical trolls and a hilarious snowman named Olaf all in a race to find Anna’s sister Elsa (voice of Idina Menzel), whose icy powers have trapped the kingdom of Arendelle in eternal winter. 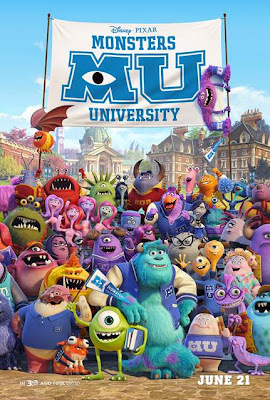 I can’t wait to take my daughter to see this, maybe my boys will come too since there is a male character in it as well, and it looks funny but no matter what my daughter and I will definitely be seeing this in November! And of course to keep up on all the current happenings for FROZEN be sure to follow them on the following social networks….